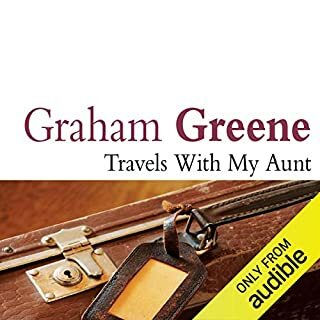 ©1971 Graham Greene (P)2014 Audible, Inc.
A brilliant book brilliantly read. 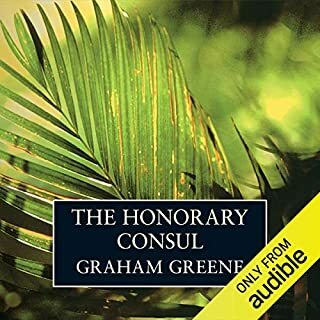 I read all Graham Greene's work 30 years ago and felt it was time to revisit. I wasn't sure if I would like Michael Kitchen's reading as I have got to know him so well through his TV work, but he was absolutely superb. I became completely absorbed and, through his skilful reading, I enjoyed the book even more than I did the first time around. 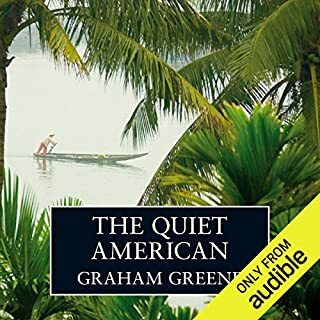 While the story is a little on the simple side Graham Greene manages to capture the atmosphere of the west African colony during war time. The climate is hot and steamy and the social scene is claustrophobic to say the least. The narrator captures the feel of the book perfectly. I read this book 30 years ago and I didn't really understand it then. Now I do. 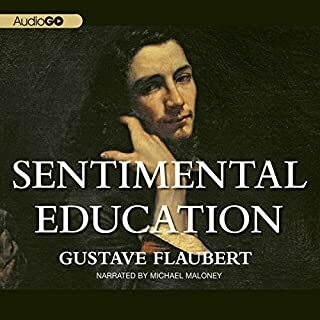 The narrator's voice doesn't follow the text at all, seeming to rise and fall and trail off randomly like an old librarian dictating a seed catalogue to his secretary. It does convey something like ennui, but unfortunately also distracts from the actual meaning of Greene's oh-so carefully arranged words. This tendency does mend by the last quarter or so of the book where you can at last get yourself lost in the story. 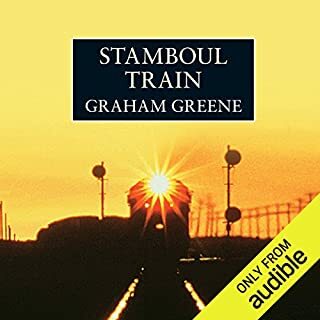 This was a consummate listening experience that showed the genius of Greene’s writing and characterisation. 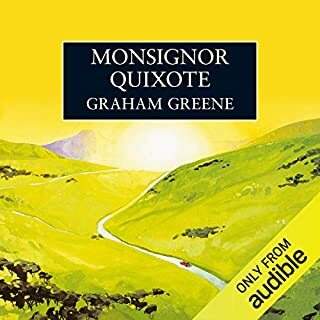 Great audiobook but not for depression sufferers! 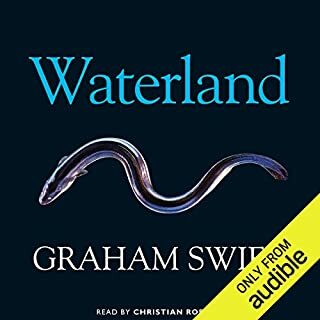 Where does The Heart of the Matter rank among all the audiobooks you’ve listened to so far? As an audiobook, it's top notch. 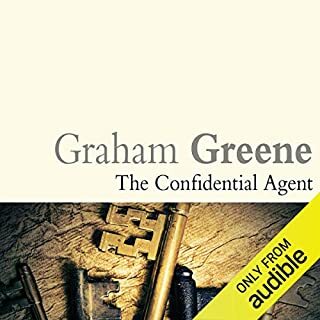 Graham Greene doesn't disappoint with his quality storytelling which is why it gets 5 stars all the way - despite my final comment. 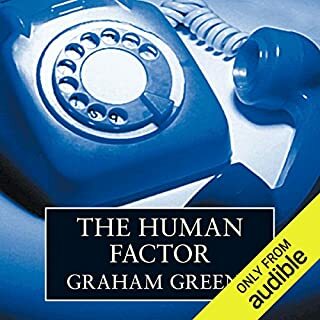 Excellent narrator who brings the whole atmosphere of the topics right before your eyes. The story line is definitely not for anyone who suffers from depression, because this will put you close to the edge - take it as a warning. If you want a good story and are not depressed, I would imagine it would have been a different experience, but I had to stop listening as soon as I saw where the story was headed. 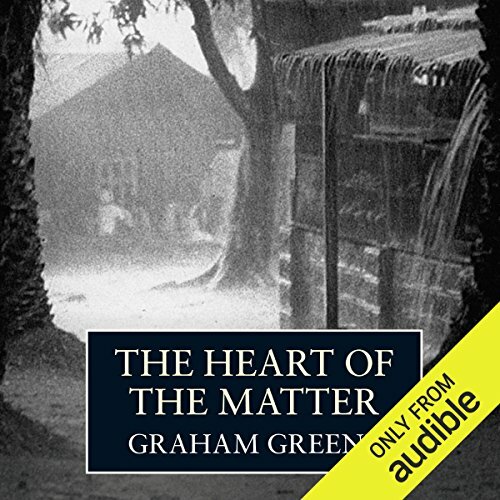 I listened to 'The Heart of the Matter' because: 1) I wanted to get acquainted with Graham Greene's writing; 2) it had won the James Tait Black Memorial Prize for 1948; and 3) it was also included in both Modern Library and TIME lists. It is a straightforward enough story about the unravelling of an honest and upright colonial police officer, Scobie. It revolves around events taking place in wartime Western Africa; in truth, however, it is more about Scobie's struggles with his own demons, his perceptions and fears, and his, ultimately futile, quest for happiness. Strangely, it seemed to me, Scobie the good hardly ever thinks about his work, except in relation to his own piety and damnation. It was as if the natives didn't have any agency at all, as if they existed merely to serve or to corrupt the White colonists. The writing at the beginning is terse, almost minimalist, and dryly British. Scenes jump from one to another with no unnecessary transitional words. Relationships are dry. Then signs begin to appear pressure, and this pressure very slowly builds. Halfway through I did not think I was going to enjoy this book, but then the sweat appears on the dry Brit. The outside temperature is logged daily while the inner stresses become unbearable. 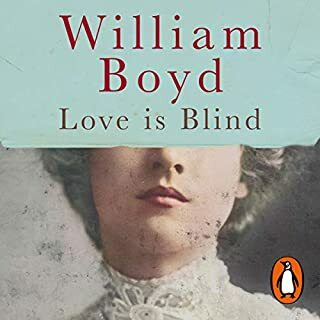 This book is subtly illustrates pity as the most destructive form of pride, destructive to both the subject and the object. The novel also examines choice and honor vs faith and obedience. If you start this book, give it time, the powerful ending requires the dry beginning. This, like all my favorite books, led me to ask questions I had never thought of and left me thinking about the story long after the end. Graham Greene speaks to the human condition with simple sympathy. Kitchen helps the reader/listener to feel it keenly and genuinely. 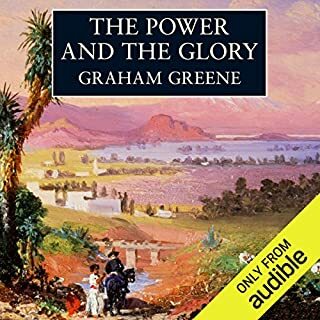 I would recommend this book because like most Graham Greene books it's all about the story. No superfluous words or dead end digressions, every word helps make an image or pushes the next word the end.The subject matter is interesting. 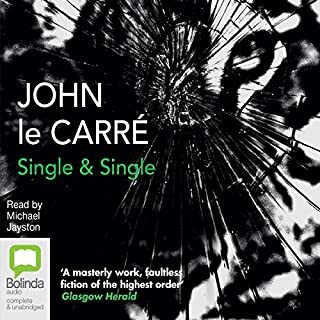 The main characters are defined by their actions and words and not the characters internal feelings conveyed to the reader by the omnipotent narrator which is refreshing. What was one of the most memorable moments of The Heart of the Matter? The scene where Yusef blackmails Scobie but feels genuinely bad to use this leverage against a man he respects and wishes to befriend. What aspect of Michael Kitchen’s performance would you have changed? I can't recall a single moment where Micheal Kitchen's performance grated on me; to me that is very high praise. 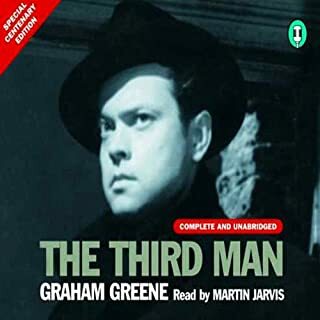 Normally Graham Greene's books have turned into some great movies. I haven't bothered to find out if this one was made into a movie. The actions of the characters are compelling in the book because they help create the atmosphere of the story, in movies atmosphere and action are two separate things. I don't think Scobie doctoring his diary would be gripping cinema unless you knew why. And if they explained why it would ruin the ending of a movie. 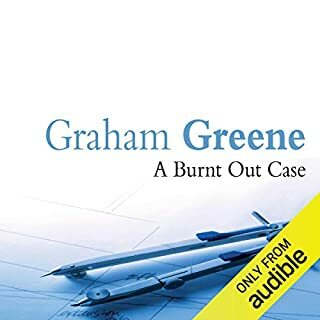 most if not all Graham Greene novels have a cynical conclusion, this is no exception. This is a story about a man who truly loves god and the final act his Catholic guilt is taken to an incredible extreme. There's no silver lining at the end of this one, but a great read regardless. 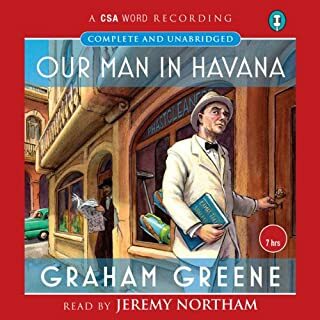 An oft overlooked classic; please read this Graham Greene beauty. You will thank me later. This author is new to me, bit the depth of his insight into the morally troubled human soul was both beautiful and sad. 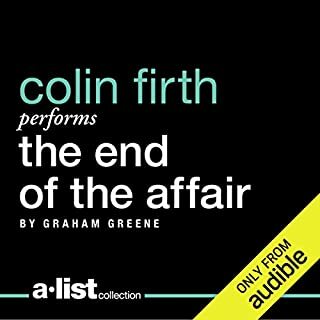 One of the best performances by a narrator I've ever heard! Greene was himself a man trapped between the person he was and the one his religion taught he should be. Scobie's conversations with himself and his God, to me, are Greene wrestling with his own nature. 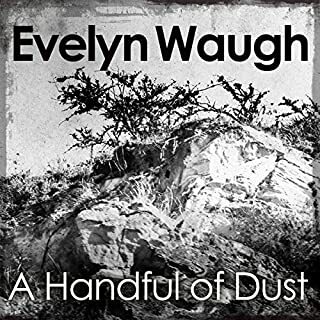 This is a tragic story, beautifully written and narrated. Have enjoyed M. Kitchens in Foyle's war - one reason I chose this selection. Greene has a special insight into human motivations and relationships. This story does not disappoint, and Kitchens moves the story along very capably. Worth a listen! What made the experience of listening to The Heart of the Matter the most enjoyable? What other book might you compare The Heart of the Matter to and why? If you could sum up The Heart of the Matter in three words, what would they be? Yes, because of Scobie's attempts to reconcile circumstance, love, faith, justice, duty, conscience, lust, and opportunity. 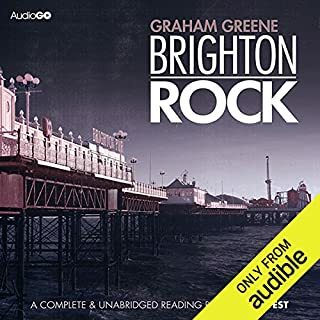 Please get Michael Kitchen to record The Power and the Glory and Brighton Rock, Graham Greene's other serious morality books. The current readers of those two absolutely pale in comparison to Kitchen.